of Rawlings Farm, Cocklebury, Langley Burrell Without. 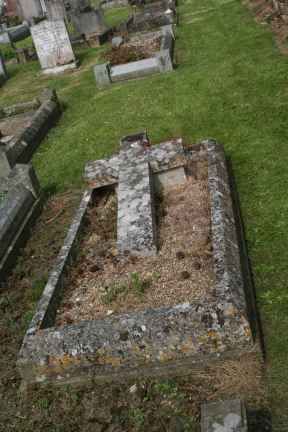 Son of the late William and Christiana Bridgeman, of Oare, Pewsey; husband of Marguerite Kate Mary Bridgeman. Died at Rawlings Farm. Bridgeman was killed when an RAF aircraft crashed onto his house at Rawlings Farm. The pilot and navigator of the Mosquito were both killed. The aircraft had been on fire and ploughed across the ground carrying away a cowshed and stable before coming to rest in the back of the house before bursting into flames. Mrs Bridgeman managed to escape through the front of the house in a very dazed condition with the aid of 2 of the farm workers, Miss Avrice Dickinson and Harold Whitmarsh. Mr Bridgeman was trapped under burning debris. He had apparently been walking along a passage way when the aircraft hit the building. Mosquito HK401 of 301 (Ferry Training Unit) suffered an engine failure then loss of control then crashed at Rawlings Farm.